56 miles west of Pueblo, Co, just south of Highway 96, lies the small town of Silver Cliff. Today a population of about 600 calls Silver Cliff home; however, 135 years ago Silver Cliff was home to more than 5000 people. 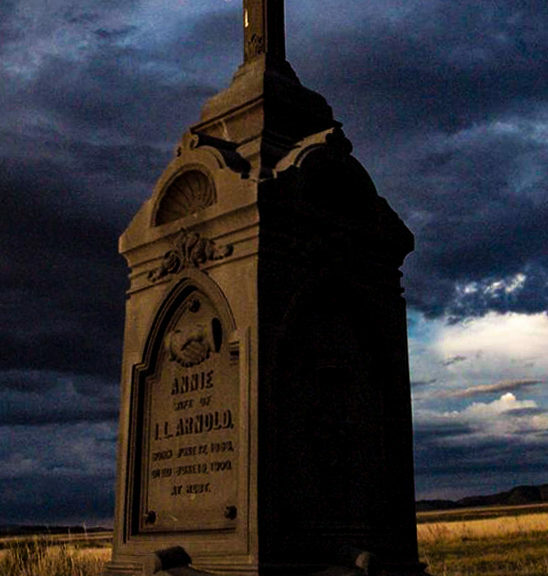 It was at this time, just south of town, that one of Colorado’s oldest urban legends began, The Ghost Lights of Silver Cliff Cemetery. One cool evening in 1882, three miners were enjoying themselves at a bachelor party, it is said, in Rosita. Rosita is now and was then another town that lies just southeast of Silver Cliff on the edge of the Wet Mountains. They were most likely enjoying their time off from mining silver near the edge of Silver Cliff. When the party was over, they decided to return home to Silver Cliff and take a short cut through the cemetery. This is when they began to notice the lights. Not just a few lights and not in the distance, but close…all around them. There were white lights, but mostly blue lights, dancing about the graves. Some knee high, some darting higher than the miners were tall. These lights lasted for a while, not simply flashes, but solid balls of light, floating through the air. The legend doesn’t say exactly what happened after the miners saw the lights but what they supposedly reported about what they thought the lights were….ghosts…probably tells us all we need to know about how they would have reacted. I’m sure the remaining half mile to town was covered fairly quickly. Once the miners stories about the lights in the haunted cemetery spread about town the next day, many made their way to the cemetery that next evening to see the lights for themselves. The “spirits”, as they were believed to be, didn’t disappoint. A number of men were reported to have even attempted to catch the lights only to find nothing in their grasp. One thing that did take hold of the lights that night was history. Despite their elusiveness, the lights continue to exist in stories told by those who make the long drive to Silver Cliff and camp within the fences of the cemetery, hoping to catch a glimpse of what 3 miners saw over a century ago. Coming soon: Shining a light on the Silver Cliff Cemetery.